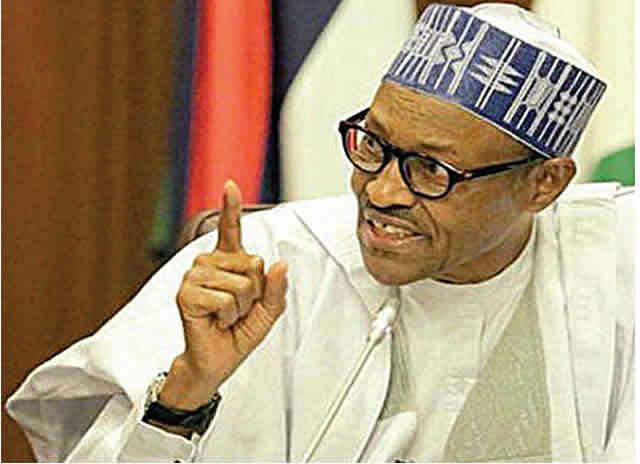 President Muhammadu Buhari returned to Abuja last night at the expiration of his vacation in London with a vow to jail more of the thieves that brought economic problems to the country. His plane touched down at the Presidential wing of the Nnamdi Azikiwe International Airport, Abuja at about 6.35p.m. He alighted from the plane some five minutes later. On the defection of the Senate Minority Leader, Mr. Godswill Akpabio from the Peoples Democratic Party to the All Progressives Congress, the president said it is one of the beauties of democracy as it affords individuals the choice of identifying with political party they are interested in. He, however, advised politicians to provide the necessary dividends of democracy to the people and sensitise their constituents to get the permanent voters card to enable them freely vote for candidates of their choice. He was received at the airport by Governor Yahaya Bello of Kogi State, Service Chiefs, FCT Minister Mohammed Bello, and Chief of Staff of the President, Abba Kyari among others. Buhari departed for London on August 3. Beauty of democracy allows an individual to identify with the political party he likes. why hunt saraki?